I am using the talend mdm platform 6.1.1 version. In that I am unable to see the option "Newer emails first" in tpop component. Request you all to help me to get "Newer emails first" option. 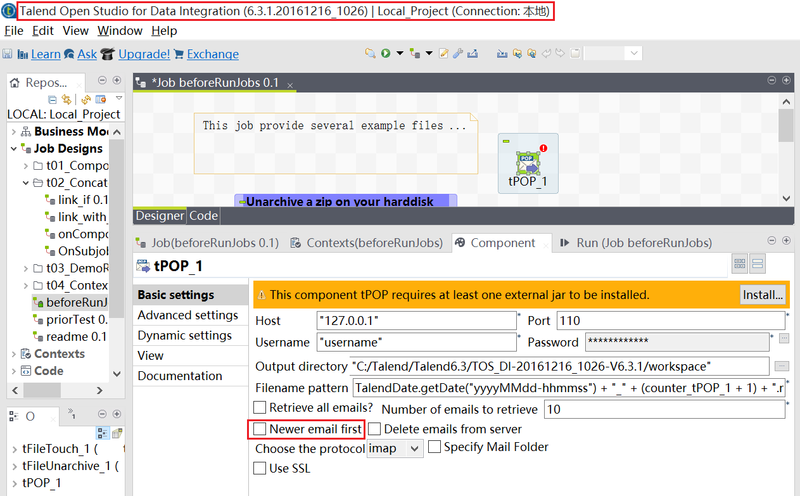 We don't have the option "Newer emails first" in tpop component on V 6.1.1. Feel free to let us know if there is any further help we can give.